There are various products that promise the best results in black hair care, but some have proven to be more effective than others. Peppermint oil cools the scalp, and provides a defense against head lice and dandruff. When you apply a black hair care product with peppermint oil to your hair, it smells invigoratingly cool and fresh, leaving your hair looking and feeling healthy and clean. Black hair growth also benefits from the use of peppermint oil. It stimulates your hair follicles to help in the growth of new hair. If you want to make sure you don't lose hair to begin with, peppermint oil is also a proper treatment to prevent hair loss. It binds the roots of your hair, and increases the blood flow in your scalp. You can also mix peppermint oil with glycerin and jojoba oil, which is another mixture that promotes hair growth. Another beneficial mixture of hair oils is peppermint oil, tea tree oil, coconut oil, vitamin E oil and castor oil. This mixture benefits you more if you have oily hair, since it won't leave oils on your scalp. It also is an astringent, aiding in the normalization of the oil production in your scalp. It also has a safe and neutralizing effect on your scalp. You can also use African American hair care products with peppermint oil to treat a dry scalp, since it will balance your pH level. It adds gloss and shine to your hair, and it even works as a conditioner. Tea tree oil is a positive component of black hair care. As you massage the oil into your scalp and hair, it will soothe your scalp and give your hair a clean and natural, fresh scent. 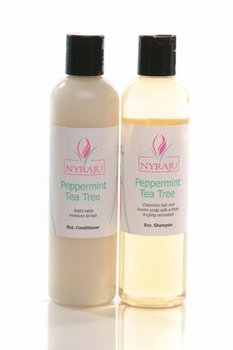 Shampoos made with tea tree oil help in restoring damaged and dry hair. Just one drop of tea tree oil can be applied to your hair after you blow-dry it, to help in taming flyaway hair. Tea tree oils can be used to inhibit the growth of dandruff, too. Even when it is diluted, it is effective as an anti-dandruff shampoo. It helps you get rid of problems with an itchy or irritated scalp. If your scalp is dry, or you have dry hair, using tea tree oil products to care for your hair will help you see good results and your hair will feel better. 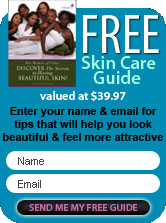 The best moisturizers for black hair care take into account that black hair often tends to be dry. This problem is multiplied by the fact that your hair structure, which is a natural coil, makes it more difficult for oils to penetrate the ends of your hair, and your scalp. Use natural black hair care products that keep moisture in on a regular basis, to keep your hair looking as good as it can. Some people still use petroleum-based products on their hair. And while a lot of you feel this product works well on rough skin, if you use too much, it can cause clogged pores, thereby resulting in facial acne. For some of you petroleum can actually make your scalp more dry. If you continue applying it to pores that are clogged, they won't be able to absorb moisture and your hair may become more prone to damage. Shea butter is an excellent product for keeping moisture in your black hair. It's natural, it has healing properties, and is a healthy moisturizer for both your hair and your skin as well. Papaya or jojoba oils are popular now, and are very healthy. You can find the more rare oils at beauty supply stores and some health food shoppes. Peppermint-Tea tree shampoo and conditioners as well as hair oils are gentle and natural, so you can use them on a daily basis, to promote resiliency and softness. You can use other products to keep moisture in your hair, too. Safflower, olive and coconut oils work well to keep moisture in your hair. If you want to do one hot oil treatment a week, you can use these types of oils, and heat them in a double boiler. Apply the hot oil from your scalp to the ends of your hair, then wrap a towel around your hair or put on a shower cap for twenty minutes or so, and rinse it out with lukewarm water. There are many opinions on which products help keep moisture in black hair, but everyone knows that you can't simply apply a moisturizer, and say you're finished. When you are applying oil, you should massage it gently into your scalp, so that it will penetrate as much as it can. This will also improve your scalp circulation, and will stimulate the natural oils in your own skin. If you want to maintain a proper balance of moisture in your hair, don't wash it too frequently. Frequent hair washing can dry out your scalp and the strands of your hair. You can also purchase a satin or silk pillow case. This fabric is soft against your hair, which will help you in avoiding split ends and tangles. It will also be helpful in retaining moisture in your hair. Cotton pillow cases can absorb your conditioners and oils from your hair and end up causing problems for your face. You also need to hydrate your skin and hair from the inside out. Black hair and skin both benefit from drinking a lot of water. It's good for your body, of course, and helps keep moisture in your hair. If it's a hot day, use a spray bottle to spritz water on your skin, but spritz your hair, too. Find a hairstyle that is suitable, and doesn't require too much product or styling. This will keep moisture in, and help your hair look beautiful and healthy.